I saw this recipe on Twitter ages ago and immediately knew I wanted to make it. 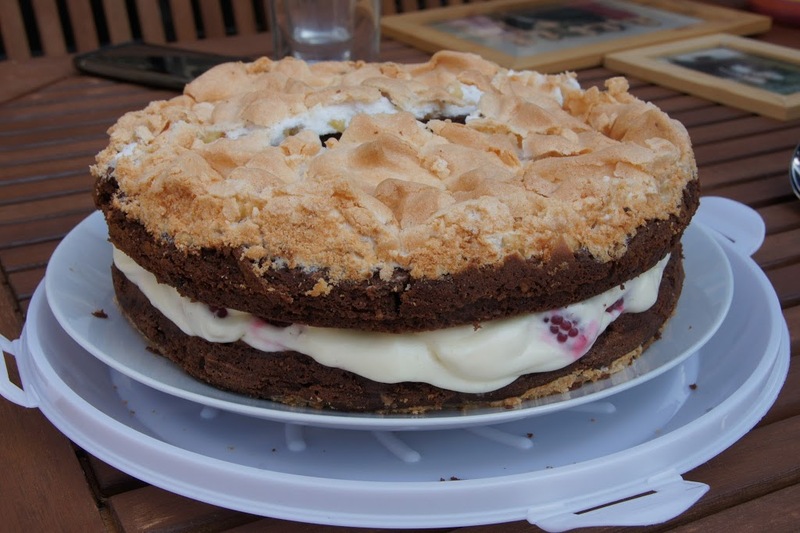 Brownie and meringue as a cake – what a combination! 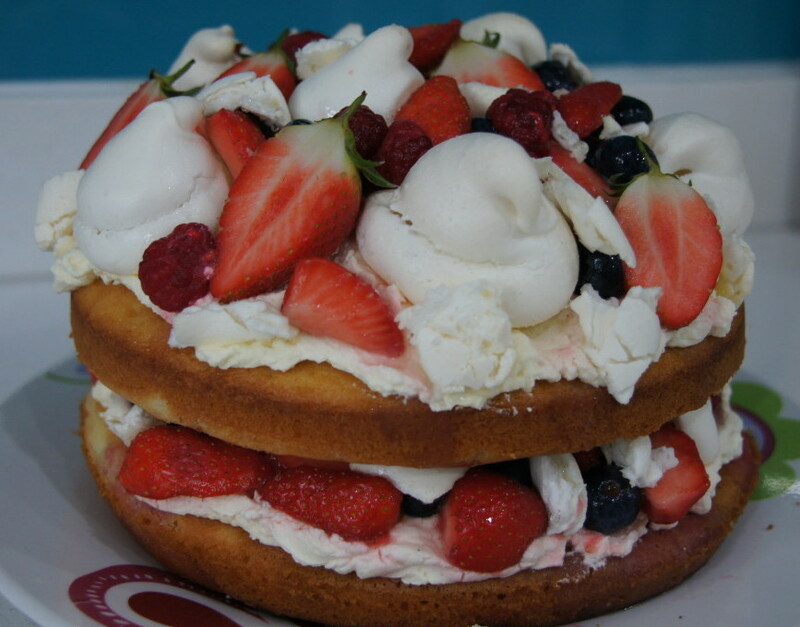 A little while ago I went through a faze of being obsessed with finding meringue cake recipes. 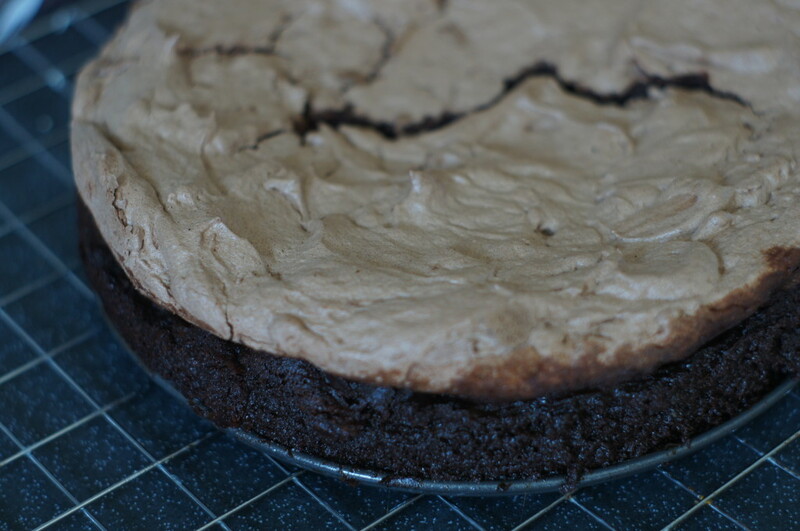 I only got round to making one (this chocolate brownie meringue cake) but I am still keen to investigate some more. 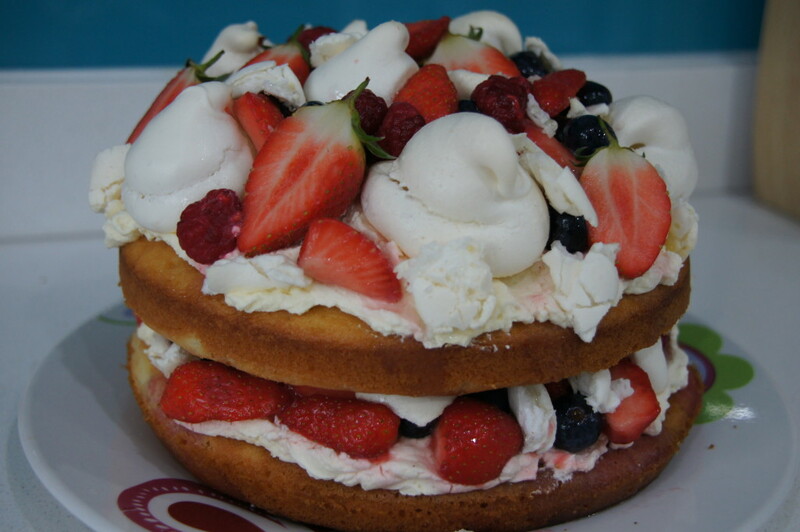 Today I needed a dessert as we had some friends round for a barbecue and thought this would make a good option. Today was a special day. You might have seen ‘The Big Reunion’ on the TV (lots of pop bands from the late nineties and early noughties reuniting) – well today was the proper big reunion. It is ten years this summer since I and my very special friends graduated from university. In honour of this special occasion we had a get together to reminisce, laugh over photos (what were we wearing?!?) and partake in a game of petanque. I of course offered to make dessert. I’d had my eye on this recipe for a while and recently had a similar cake at ‘The Tenth Hole Tea Rooms’ in Southsea (they are legendary in Hampshire for their amazing cakes!) so decided now was the time. 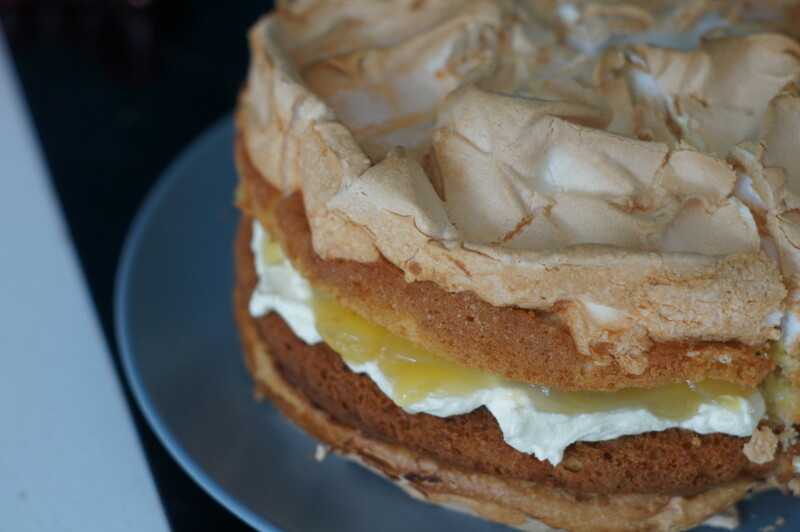 I am now a little bit obsessed with the idea of making meringue cakes and have my eye on a Nigella Lawson lemon meringue cake, a BBC Good Food blackberry and almond meringue cake and a mocha meringue cake I have found on a blog. Oh the possibilities! 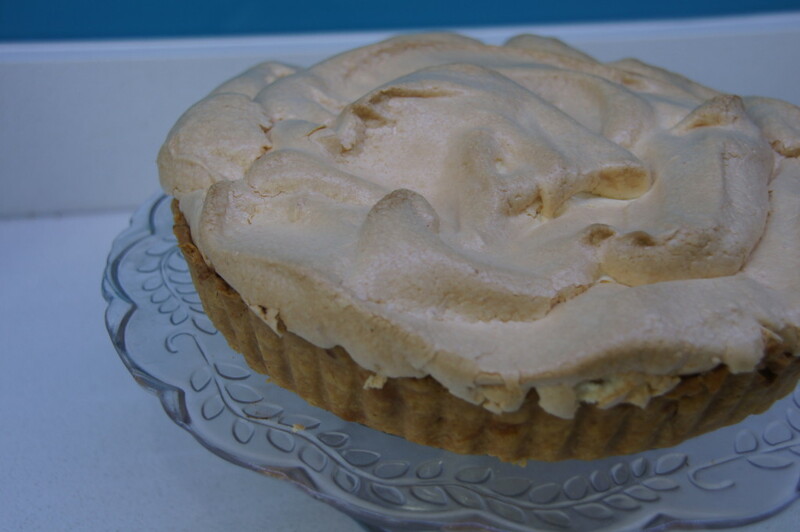 As you will see from the photos I have yet again failed in my attempts to make a meringue that does not crack! I am obviously just doomed. However despite appearances the cake went down well. It is a Miranda Gore-Brown recipe from the Great British Bake Off. You can find it on lots of different websites but I used the version from the BBC website that you can find here. It is very tricky to slice and serve and does not look pretty but makes up for it in taste. 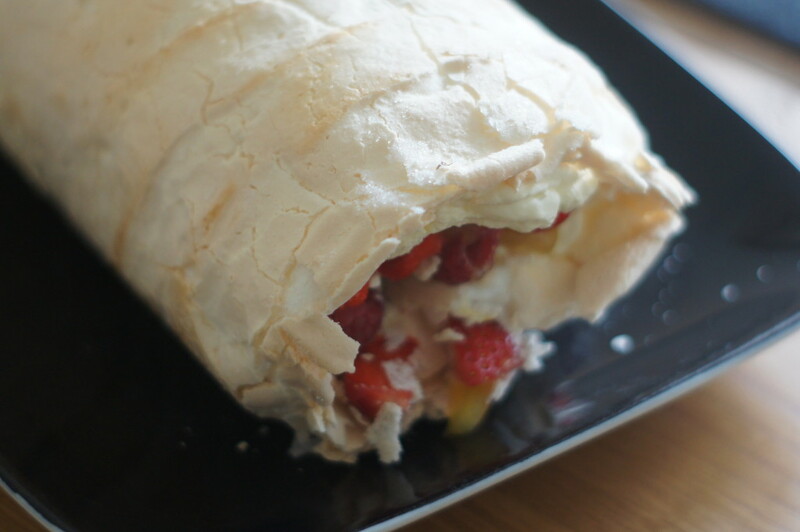 The combination of meringue and brownie works well and the raspberry cream adds some freshness. 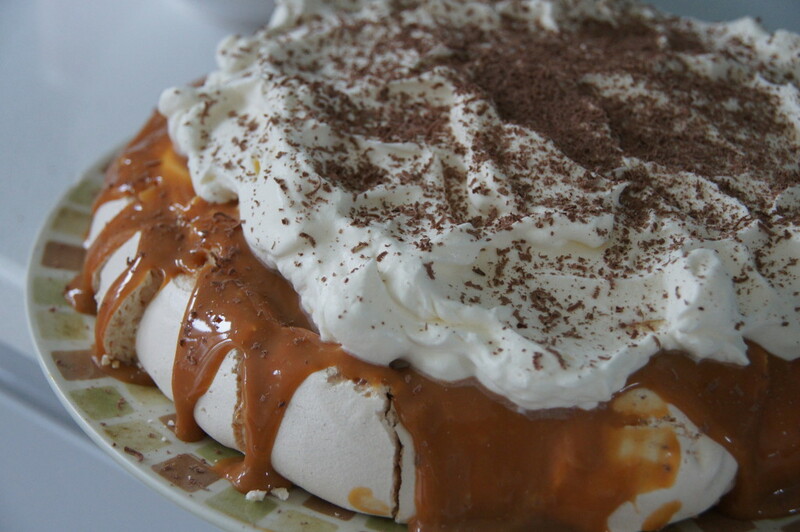 There was a debate over the hazelnuts in the meringue but the end decision was that they add texture. The recipe is meant to use two 23cm sandwich tins which I don’t possess so I used springform tins instead which still works.